On August 2, 1942, William A. “Billy” Clements enlisted “for the duration of the War.” He was inducted first as an Army private at Fort Mcpherson, Atlanta, GA.
A line of soldiers during induction at Ft. McPherson, Atlanta, GA, 1942. 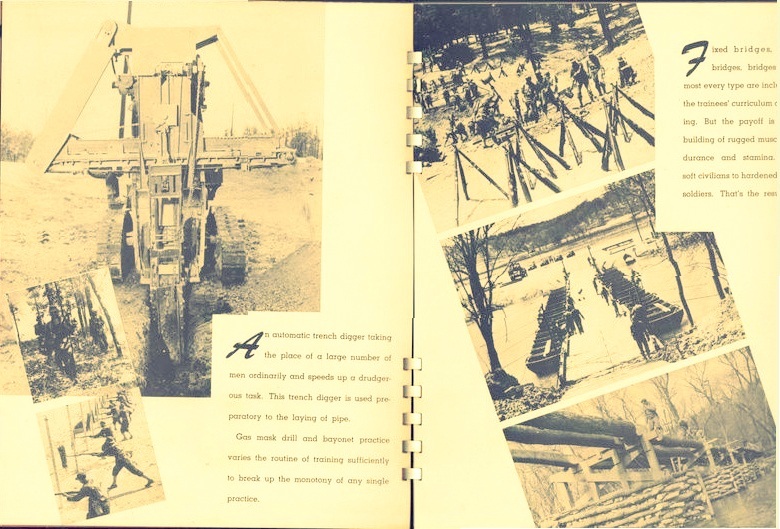 Billy had four years of college education, and after basic training it was decided his “civilian occupation, training and background were more suited for conversion to Specialist use in the Engineer Corps than in other branches of the services…The army engineer is a builder as well as a combat soldier.” It was in 1942 that the construction of domestic military bases reached its peak. On October 5, 1942 The Atlanta Constitution reported William A. Clements had been transferred to the Engineer Replacement Training Center at Fort Leonard Wood, MO. William A. “Billy” Clements was assigned to Fort Leonard Wood in October of 1942. 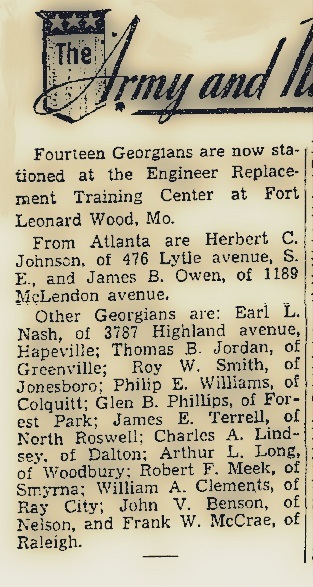 Fourteen Georgians are now stationed at the Engineer Replacement Training Center at Fort Leonard Wood, Mo. From Atlanta are Herbert C. Johnson, of 476 Lytle avenue, S. E. and James B. Owen, of 1189 McLendon avenue. 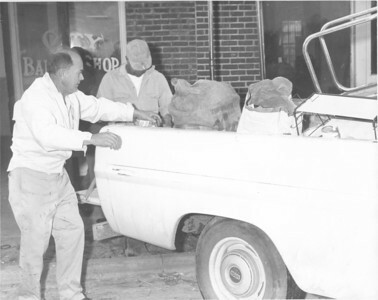 Other Georgians are: Earl L. Nash, of 3787 Highland avenue, Hapeville: Thomas B. Jordan, of Greenville; Roy W. Smith, of Jonesboro; Philip E. Williams, of Colquitt; Glen B. Phillips, of Forest Park; James E. Terrell, of North Roswell; Charles A Lindsey, of Dalton; Arthur L. Long, of Woodbury; Robert F. Meek, of Smyrna; William A. Clements, of Ray City; John V. Benson, of Nelson, and Frank W. McCrae, of Raleigh. 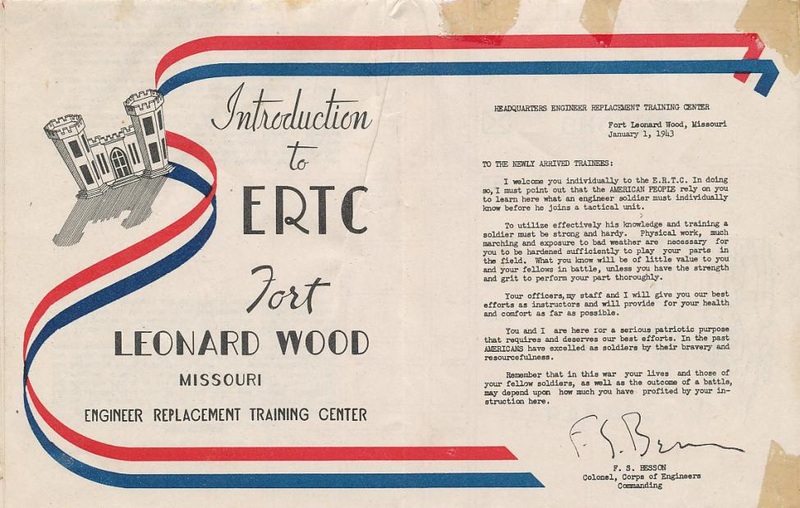 New arrivals at Fort Leonard Wood were greeted with a pamphlet, Introdution to ERTC Fort Leonard Wood, which provided an orientation to the base and the Army Corps of Engineers. 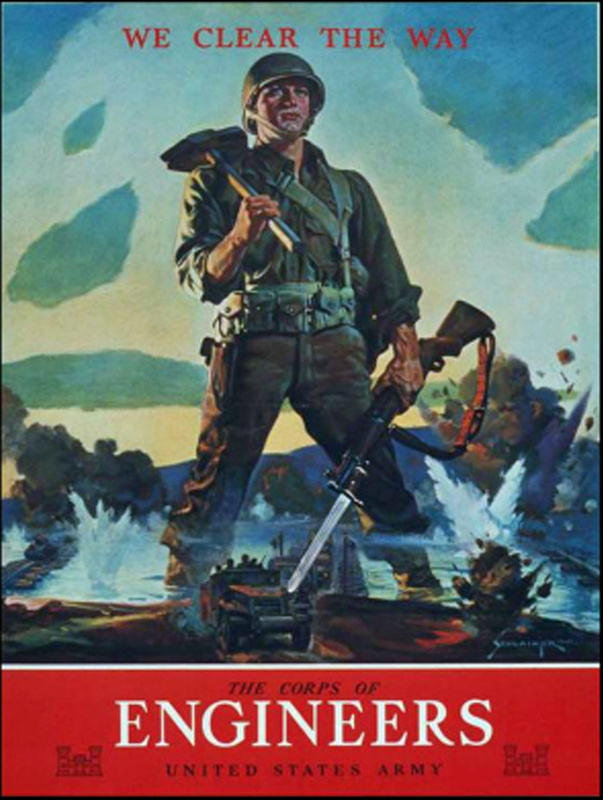 After the War, Billy Clements returned to Ray City, GA. He later became the owner of the Victory Soda Shop, Ray City’s iconic landmark of World War II. The Berrien Press — William A. “Billy” Clements, 88, of Ray City died February 2, 2006 at Louis Smith Memorial Hospital in Lakeland. Born October 3, 1917 in Berrien County to the late William A. and Mary Elizabeth Clements, he owned and operated Victory Soda Shop in Ray City for 33 years. He served in the U.S. Army during WWII and was a member of First Baptist Church in Ray City. Survivors include his wife, Helen Wood Clements of Ray City; three sons, Richard Clements of Chula, David Clements of Ray City, Chris Clements of Virginia Beach, VA; two sisters, Ann Ryals of Valdosta and Grace Howell of Houston, TX; one brother, Wendell Lee Clements of Conyers; seven grandchildren, five great-grandchildren. Funeral services were held February 5 at 2 p.m. at First Baptist Church in Ray City. Interment was in Beaver Dam Cemetery. Music Funeral Services of Lakeland was in charge of arrangements.